Plant Environment: Sunny location with good drainage.Drought tolerant once established. 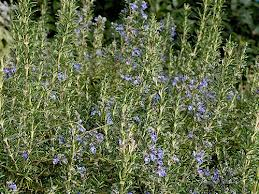 Plant Bloom: Fragrant small blue blooms along stems in early summer. An excellent evergreen perennial herb that makes a great addition to any herb garden or perennial garden. The foliage may be used fresh or dried as a food seasoning.